This cream cake hails from France and is named after the French word for 'flash of lightning' because they are eaten so quickly. After looking at the recipe I might have to get everyone to eat them slowly since they take so long to make. Put the egg yolks, cornflour, salt and half of the sugar in a bowl. Whisk them together until well combined. 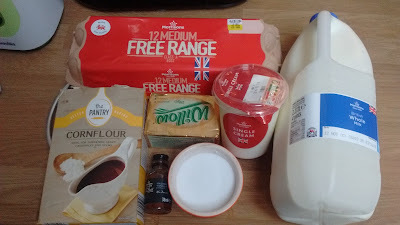 In a pan heat up the milk, cream and remainder of the sugar. 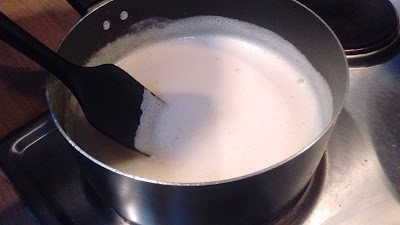 When the sugar has dissolved and the cream/milk is simmering remove from the heat. 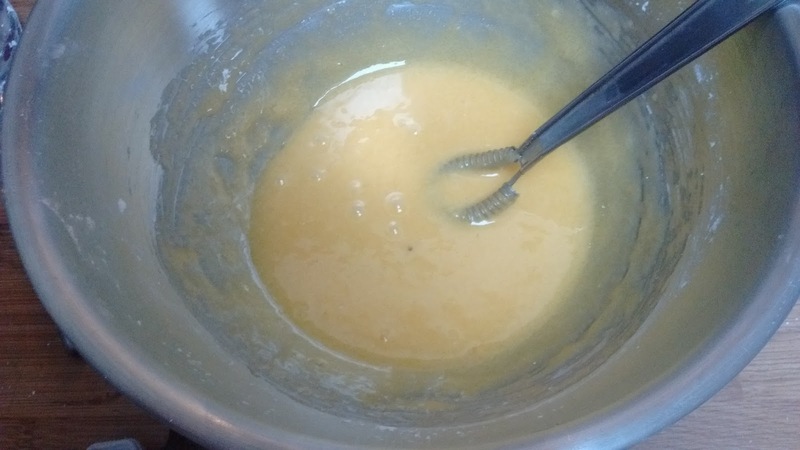 Slowly stir the warm cream mix into the egg yolk mix until it's all combined. Pour it back into the pan and heat, stirring continuously!! 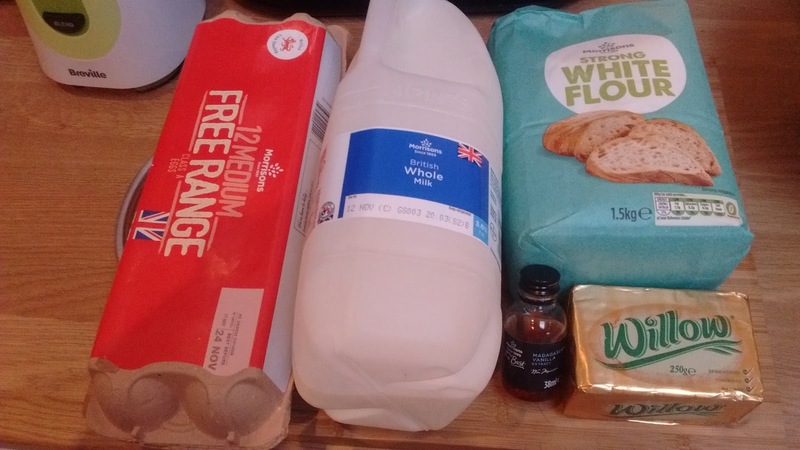 until the mixture bubbles. 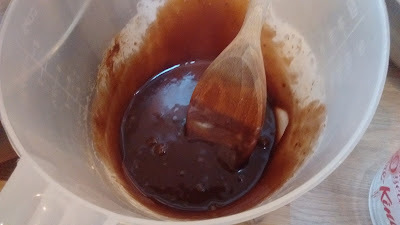 The first time I did this part I left the pan for a moment and the bottom part of the mixture clumped and burnt. I had to start again from the beginning. It happens really quickly so make sure you stir it well and keep a constant watch over it. That's why a couple of these steps don't have a picture, I didn't have time! 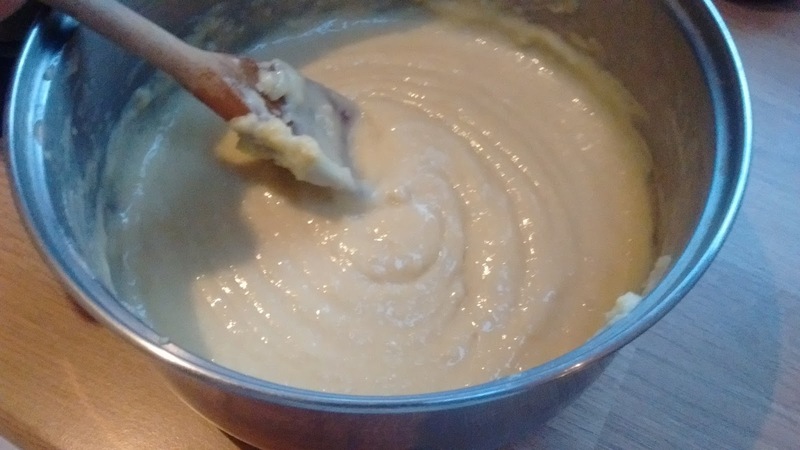 Pour back into the bowl and stir in the butter and vanilla, you'll be left with a beautiful silky smooth cream that it's impossible to resist a tiny spoon of to taste. This bit is nice and easy! Heat up the cream until bubbles start to form. 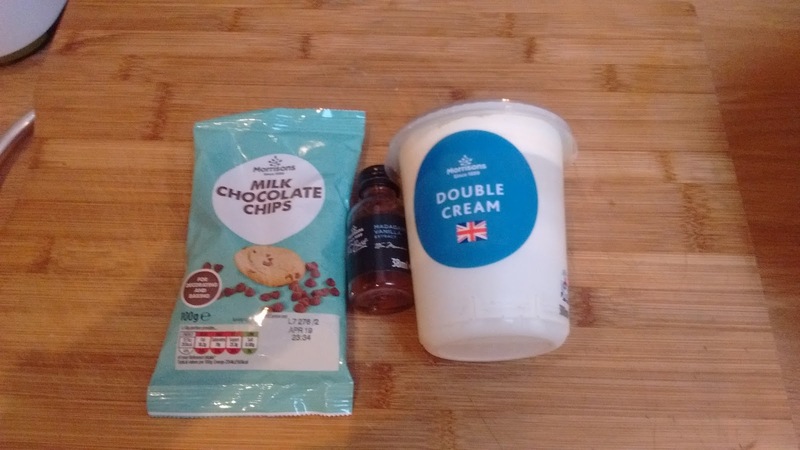 Pour the warm cream over the chocolate chips. Let it sit for 5 minutes. This is a good opportunity to sit down and relax for a few minutes yourself after all the excitement of the pastry cream! Come back refreshed and add the vanilla. 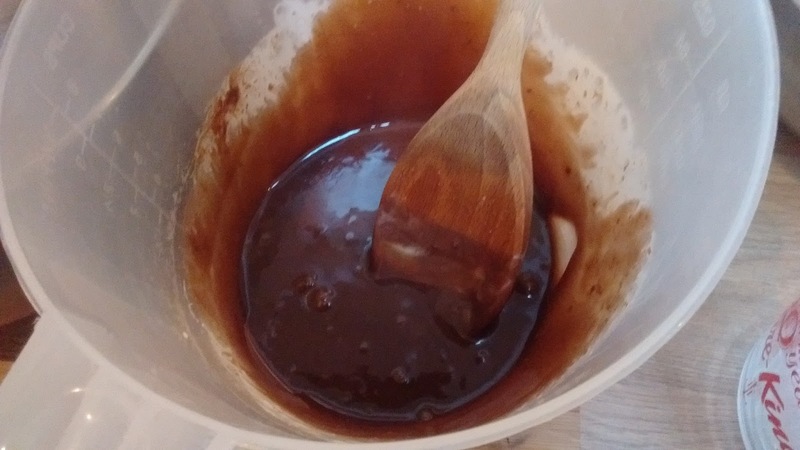 Stir until you have a smooth chocolatey ganache. Preheat your oven to 218C. In a pan, mix the milk, water, butter and sugar together. Heat on a medium heat until the mixture simmers. 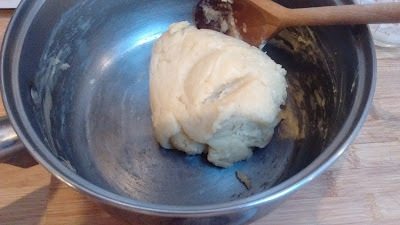 Add the flour all at once and stir well until the dough pulls away from the sides. Let this cool for a few minutes then start to add the eggs and whites. 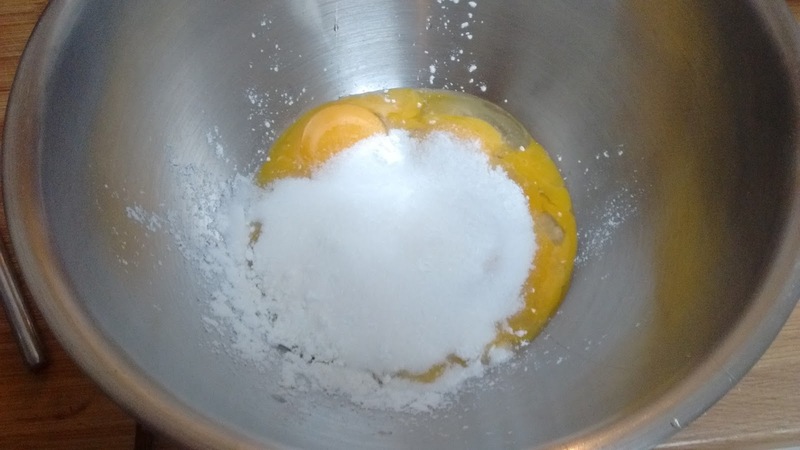 Add them one at a time, mixing until they're completely mixed in before adding another egg/white. 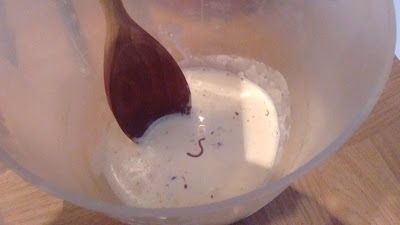 Finally stir in the vanilla. Pipe the pastry in 2-3 inch tubes onto trays lined with baking paper. Bake for 10 minutes then reduce the heat to 180C and bake for 30 minutes more. Remove from the oven and pierce one end with a knife so steam can escape. When cooled fill with the pastry cream and spread a layer of ganache on top. Et voila! 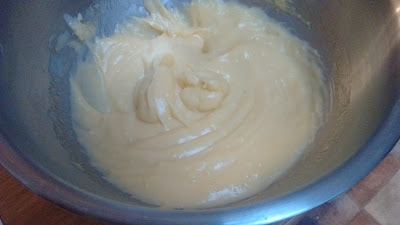 My choux pastry must have been a bit too loose because my tubes didn't stay as tubes and turned into lovely blobs. My eclairs have turned into choux buns. C'est la vie! We certainly didn't let the change of shape deter us and these cream cakes were devoured in a flash of lightning. I've never had an eclair with pastry cream in before, usually it's just whipped cream and I much preferred this version. The pastry cream is a beautiful thing. 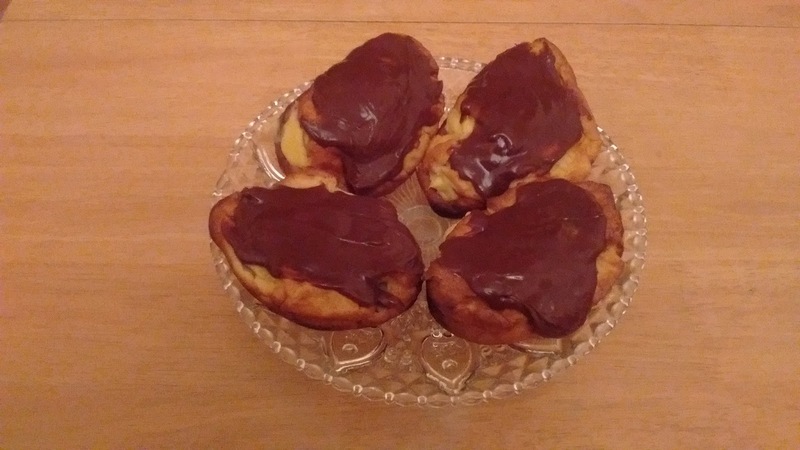 A mouthful of it encaased in light choux pastry and topped with chocolate ganache is a bite of heaven.